This entry was posted in Uncategorized on February 24, 2019 by Heather. Long ago, I was the foreman on a trial, and out of that experience came this book. I wrote it over a dozen years ago, so it becomes a bit of a historical piece of Kent, WA, but it’s freshly edited for the reissue and I’m editing the sequel now. If you enjoy legal thrillers and women in jeopardy stories, check it out! After years of hiding herself in a protective cocoon, Cass Bellair steps out of her narrow world for jury duty. All she hopes to earn from the experience is lunch with the cute guy sitting behind her in court. Unfortunately, the defendant has different ideas. His henchmen are looking for weak spots in everyone involved in the trial. 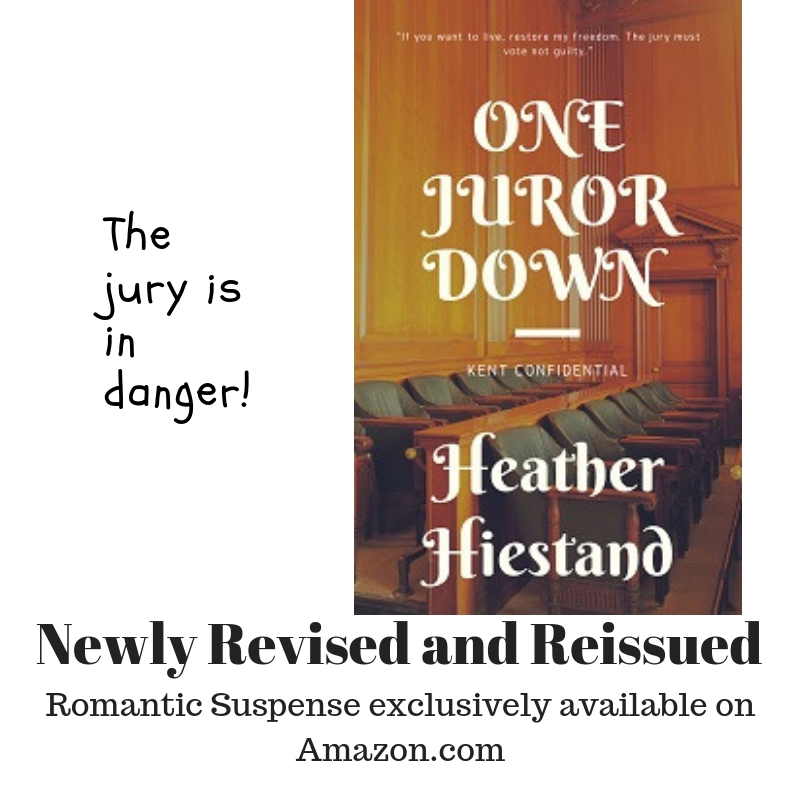 When Cass learns fellow juror Ben Cameron was once the friend of a man who brutalized her, she wants nothing to do with him. He is her enemy. Still, they are forced to work together to uncover the roots of the conspiracy targeting the jury. Getting close to Ben will put Cass’s heart at risk, but staying away will put the lives of many, including her own friends and family, in danger. This entry was posted in Uncategorized on January 8, 2019 by Heather. 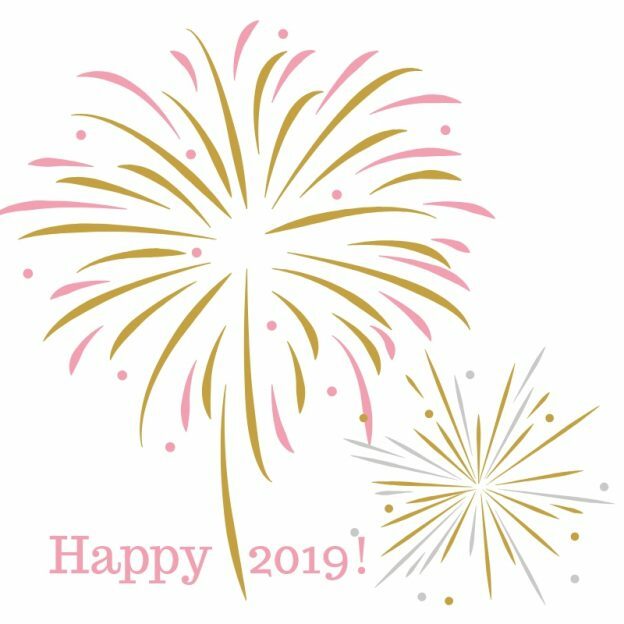 I hope you have a wonderful 2019! 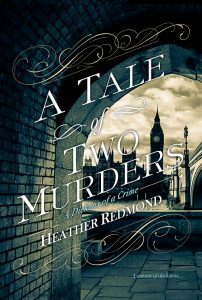 I have two new hardback Heather Redmond mysteries out this year, and we’ll see what else the year brings. I hope you follow me on Instagram if you haven’t already. It’s my favorite social media site at the moment and I post lots of art pieces and journal entries. This entry was posted in Uncategorized on December 31, 2018 by Heather. 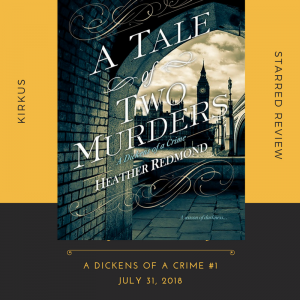 A Tale of Two Murders on Sale in some locations until Oct 10th! Kobo started the sale and Amazon and Walmart have matched it so far! Just $3.99 for the ebook! This entry was posted in Uncategorized on October 2, 2018 by Heather. Facebook party tonight August 27th! I’ll be at the party at 5 PST. 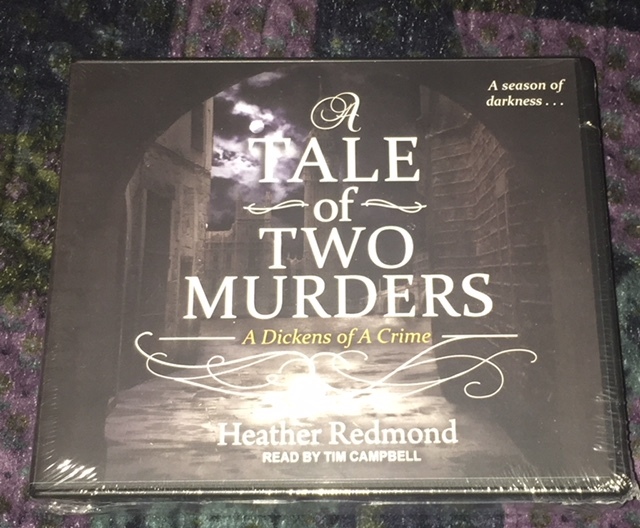 Prizes include a hardcover copy of A Tale of Two Murders! This entry was posted in Uncategorized on August 27, 2018 by Heather. The Video Trailer for A Tale of Two Murders is ready! My publisher is generously offering up twenty-five print copies of my debut historical mystery novel to readers. 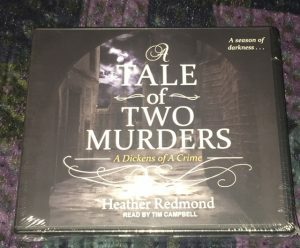 Visit https://www.goodreads.com/giveaway/show/280803-a-tale-of-two-murders to enter the contest! This entry was posted in Uncategorized on June 3, 2018 by Heather. Holland House, a Castle fit for royalty? Welcome to Holland House in Kensington! Once called Cope Castle, this magnificent early Jacobean mansion (built 1605) with ties to British royal events and personages, was bombed during WWII and only the East Wing survives today. I featured it in my upcoming historical mystery, A Tale of Two Murders, multiple times, since the Lord and Lady Holland of 1835 are minor characters in the book. They are two colorful people who desperately need a biography about them! Lady Holland really was a friend of Charles Dickens, which is how the family, and their magnificent home, came to enter my book world. Of course I had to make up some of the spaces the characters visited, but one I did not was the gilt chamber, which must have been a dazzling space in its time. Everyone who watches royals has their thoughts centered on Kensington Palace these days, but did you know that Kensington Palace was almost Holland Palace? Yes, William III considered both properties before choosing to purchase Kensington House instead. 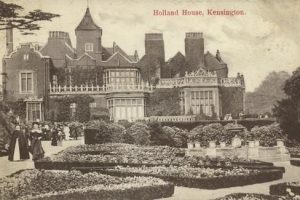 You can see more information and depictions at https://en.wikipedia.org/wiki/Holland_House. This entry was posted in Book info and tagged a tale of two murders, heather redmond, holland house, royalty on May 2, 2018 by Heather.